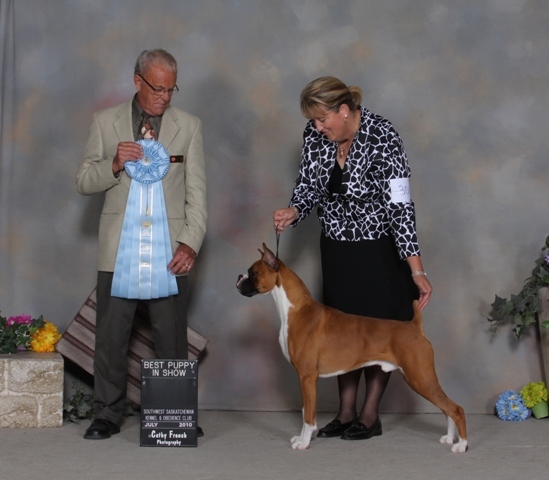 Am/Can Ch IRONDALE'S TAPOUT "STOKES"
Huge Thank you Charlie Vose and Wendy Bettis for trusting me to bring Stokes back to Canada with me and to be shown by me. 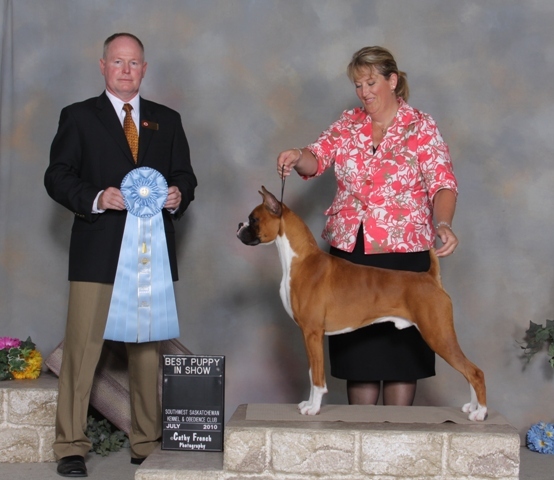 Stokes is a wonderful boy who gets along with all the dogs in our household, males and females. 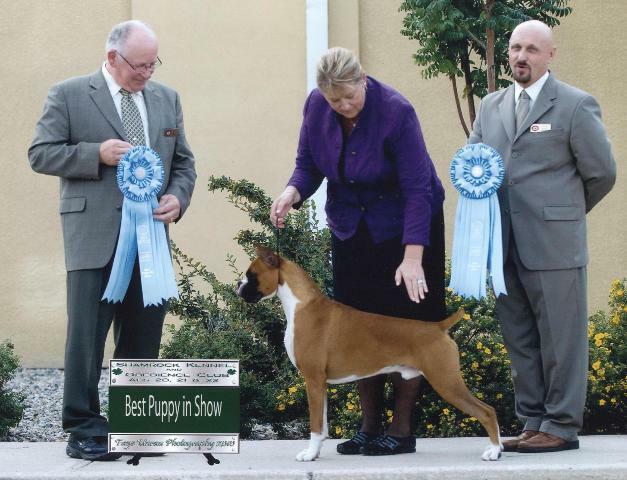 He's such a sweet boy to live with. 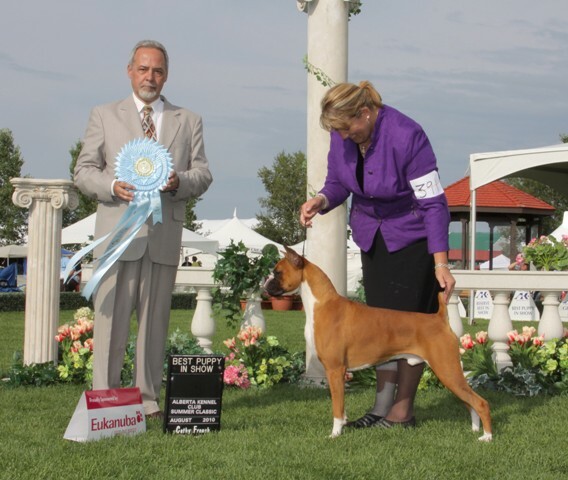 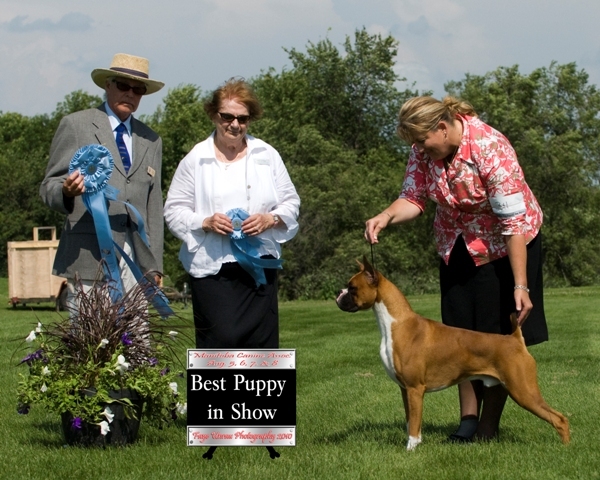 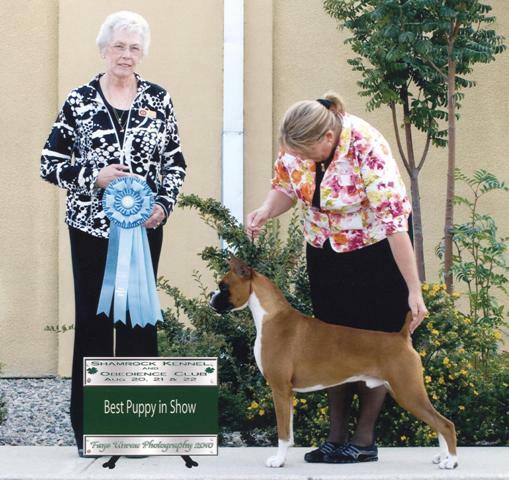 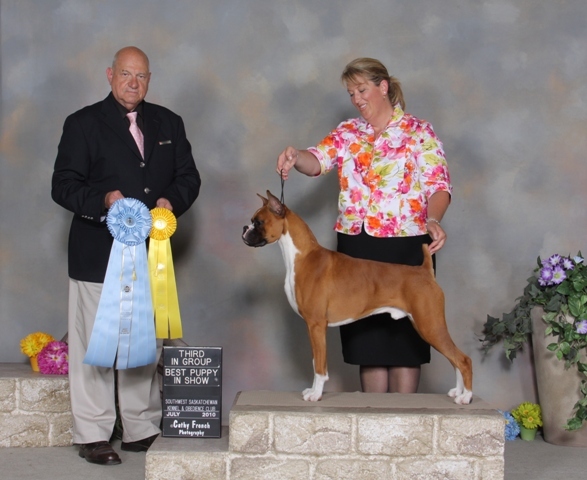 As of Stokes's last show as a puppy and in just 4 weekends of shows Stokes has become not only the #1 Boxer Puppy, but also the #1 Working Puppy and #2 All Breed Puppy in Canada. 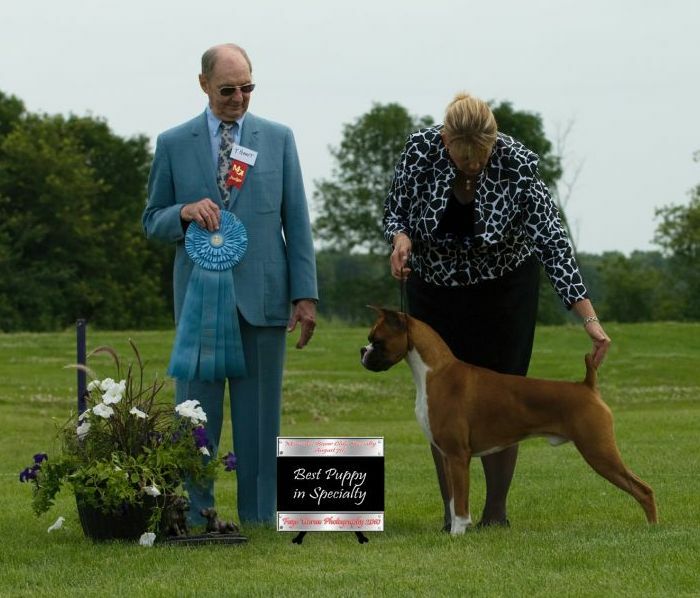 Quite an accomplishment finishing his puppy career when he has only been out 4 weekends! 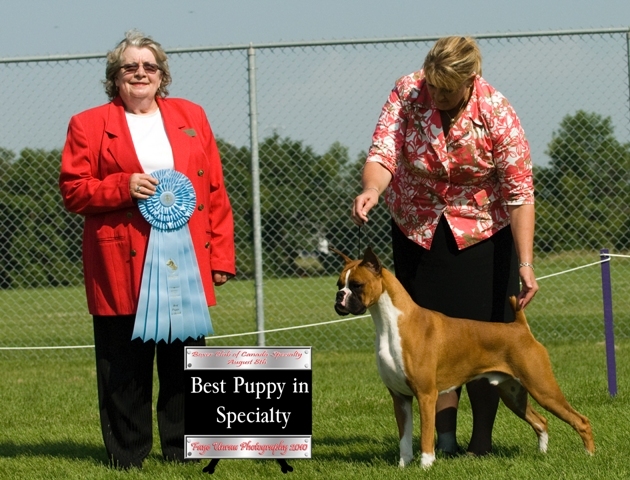 Stokes’s Canadian Career in ONLY 4 weekends as a puppy consisted of 5 BOS over Specials, Best of Breed and Group 3 over Specials, 2 Best Puppy in Specialty Shows, Best in Overall Specialty Sweepstakes, 16 Best Puppy in Working Group and 8 Best Puppy In Shows!